Tim Williams is the co-founder of Bureaux Collective — a specialty coffee incubator that provides Melbourne cafes with the equipment, training, and support to get started roasting for themselves. Tim has developed and lead renowned specialty coffee brands across three continents, with a focus on building quality-driven coffee sourcing, roasting, and retailing operations. He's held senior roles with Workshop Coffee and Square Mile Coffee Roasters in London, as well as Intelligentsia Coffee & Tea in Los Angeles, and collaborated on Maison Kitsuné's 'Cafe Kitsuné' coffee bar in Paris. Today, Tim lives in Melbourne and divides his time between roles as CEO of both Bureaux Collective and the World AeroPress Championship, running a small charity in rural Rwanda, and raising three young daughters. When Fleur Studd founded Melbourne Coffee Merchants nearly a decade ago, she was one of the first importers to bring in specialty grade, traceable, fresh crop coffees into Australia. Over the last 9 years, Fleur, along with her team, have worked tirelessly to improve the quality of coffee in Australia by sourcing the very best quality coffees they can find and sharing these coffees, and the extraordinary stories of the people behind them, with quality-focused roasters throughout Australia. Fleur is also the co-founder of Market Lane Coffee, a roaster and retailer that has played a pivotal role in helping redefine what coffee is and can be to many Melbournian consumers. Market Lane Coffee now has 6 shops in Melbourne and over 60 staff. With 15 years’ experience in the Hospitality industry and seven dedicated to the specialty coffee industry, Elika has collected a wealth of knowledge, all of which beginning in a traineeship in Hospitality Management. Elika began her work at Three Bag’s Full café in 2010 and worked her way to being completely coffee centric. After spending two years working with the Three Bag’s team she landed a job at Seven Seeds’ Brother Baba Budan, eventuating in a management role. In late 2012 Elika re- joined her previous employers at Two Birds One Stone, to begin the set up and management of Top Paddock’s coffee bar, opening in 2013. At Top Paddock she lead a team of 10 baristas, gained her Q Grader Certificate, became a certified National AASCA Barista and Brewers Cup judge, and learnt how to roast coffee. In May of 2015, along with the owners of Top Paddock, she launched Square One Coffee Roasters in Cremorne. Elika is now the driving force behind the roasting house, creating roasting profiles, conducting staff training, book keeping, forecasting and green bean buying. In June 2016, due to her profound coffee expertise, sharp leadership skills, coupled with an ambition to share knowledge, Elika was awarded with the Melbourne Food and Wine Hostplus Hospitality Scholarship. This allowed her to travel to three international destinations of her choice to further her career in coffee. Andrew has been in coffee for well over a decade and his exploration into quality on all fronts has seen many a metamorphosis: after founding Auction Rooms Cafe in North Melbourne the obvious step was to create Small Batch Roasting Co., now one of the world's most respected artisan roasteries. The deeper one delves into the intricacies of this complex food product the further one is led to the source: Andrew is championing a rare breed of honest and (actual) direct trade that treats smallholders as fellow artisans and businesswomen/men. Andrew’s purchasing practices encourage and legitimately support growers to transition to a very involved organic agriculture and to produce a superb quality of coffee. With socio-environmental impact a driving factor behind sourcing, on the home front a ceaseless pursuit of the perfect roast and brew keeps Andrew and his team engaged and in love with this humble seed. Zeta’s career started in nursing. After a long career as a nurse educator she joined a medical publishing company where she worked as an account director in South East Asia, Europe and Australia. Zeta moved to the Tweed hinterland where she and her husband planted coffee in 1994. Her first roasting business Carool Coffee Traders showcased locally grown coffee and Zeta became an advocate for local produce by initiating the food group Taste The Tweed which was a leader in the area of food tourism. Zeta is the owner, manager and roaster of Zeta’s Coffee and now focuses on producing one of the world’s finest single origin coffees. In her free time she is completing a Master of Gastronomic Tourism through Le Cordon Bleu and Southern Cross University. Mark has 18 years experience in the Hospitality Industry, starting with a small cafe working as a barista and progressed through building and operating a series of cafes & coffee roasting facilities. 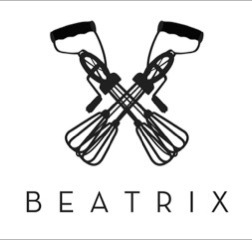 Having just returned from 2 years in Los Angeles, with the development of a new cafe PCPLA, on Fairfax ave, as well as a new Los Angeles location downtown. Mark is currently involved and active with the Seven Seeds coffee group in Melbourne as co-owner, Paramount Coffee project Sydney and Santa Lucia coffee farm in Honduras and is a past board member of Alliance for Coffee Excellence. Mark also owns a small 29 room hotel in Sydney. Mancel grew up on the family dairy farm in northern Victoria sparking his passion for the dairy industry at an early age. Mancel has a vast experience in managing dairy businesses across Australia, ranging from Australia's largest milk companies through to Fitzroy's micro-dairy being St David. 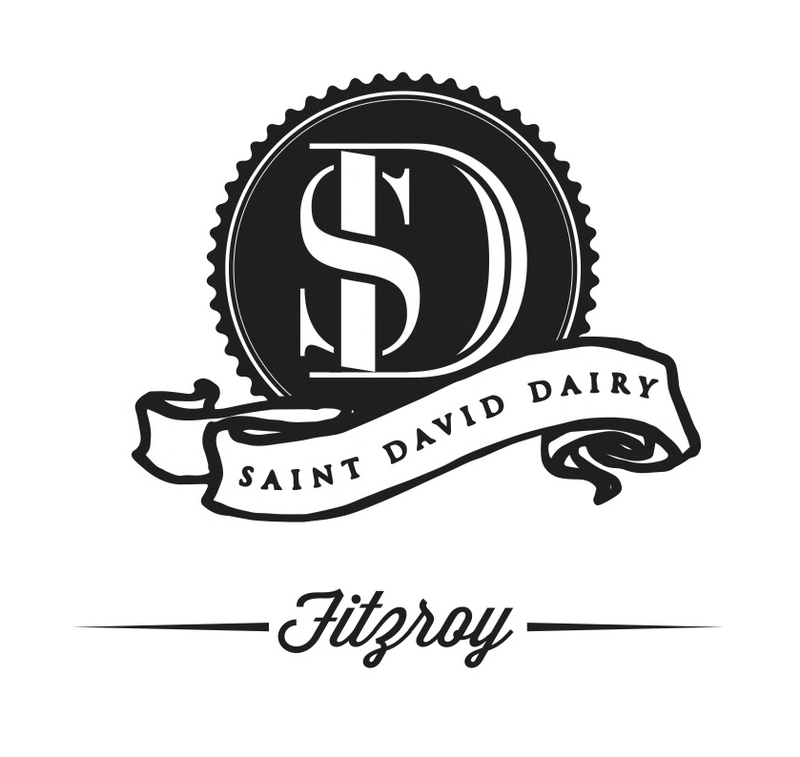 Brand authenticity and transparency was a key attraction of St David Dairy to Mancel, being a positive light in an industry that is battling consolidation and disconnect. The number of businesses inspiring the next generation of dairy farmers is rapidly diminished, and the emergence of strong, passionate smaller dairy brands will be key to demonstrating support of strong value propositions still exists at a the crucial business consumer level. Luiz' grandfather (Luiz Saldanha) used to be the cupper of the famous Lageado Farm (50´s and 60´s) at the Botucatu region. As a man with poor access to education, he made a name for himself with hard work, but was not able to live his dream as his grandson would, to dedicate his life to the coffee chain. In 2004 Luiz inherited the challenge of rebuilding the reputation of a coffee farm to match its rich history to a future of quality and sustainability. Dr Paulo was a great entreprenuer and taught Luiz about the necesity of “always making things better”. After 12 years of hard work, using a holistic vision and approach to agricultural practices and value chain development, Fazenda California is part of the select group of CoE International Winner farms and Norte Pioneiro do Paraná region achieved it´s Geographical Indication. Rebecca took her passion for inspiring and empowering people, and her love for business to create a product that she truly believed in. After a life changing year, overcoming some health obstacles Sol Cups was born out of a mission to share her family's knowledge and passion of health with as many people as possible. We choose to use hand blown glass because it is a more sustainable and ethical manufacturing process, to suit our plastic free mission.